Have you ever needed a short activity to fill time due to a “surprise” assembly, early dismissal or one class finishing before another? This activity can be stretched or shortened depending on your needs! 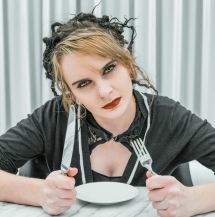 Hangry is a real concept that most of us have experienced at one time or another and because of this, it can be a very relatable topic for students to talk about and make connections to. I’ve included some activities that work well with this topic, so, pick and choose or do them all! Show or independently have students view this YouTube clip “Why Do You Get Hangry?” If you want a guide sheet for students to complete to be able to talk about or just hold them accountable for the information, see the attachments below. Short on time, skip the talking points guide sheet. Now that you know that this is a real thing, let’s see how we can “tame the hangry beast” within all of us in the healthiest way. Teacher note: create your own list of acceptable snacks and/or unacceptable snacks that you are looking for. I based my list off of these two web articles: The 16 Best Foods to Eat When You’re seriously HANGRY and 11 Best Foods to Eat When You’re Hangry. Challenge students to a Google Race, giving them 3 minutes to come up with “10 Best Snacks to Tame the Hangry Beast” and write them on the worksheet (see attachments). When time is up, students must lay down their writing instruments and then the sharing begins. Have the student’s trade papers and provide students with colored markers/pencils. For every snack that matches one on my list, students will earn 1 point. For every unacceptable (empty calorie) snack, students will lose 1 point. See who can earn the most points. Prizes can be “healthy, nutrient dense” snacks or bonus points if desired! If you need to fill a bit more time, you could have students create school appropriate Memes incorporating information they’ve learned from the video or or from the healthy snack race. If you need or want an actual article on this topic, here are two: Here’s Why You Get Hangry, According to Science or How Hunger Pangs Can Make Nice People ‘Hangry’.